We're in the Top Ten on Houzz! 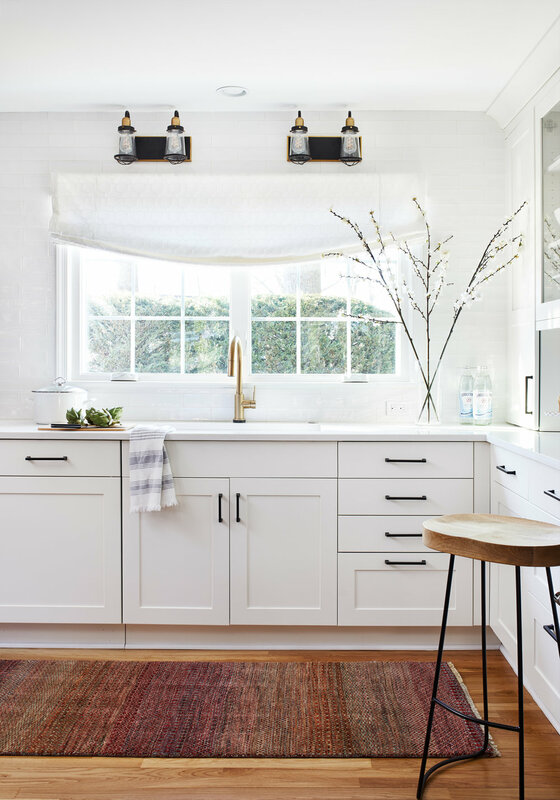 This client’s highly organized Baker’s Kitchen made it in to the Top Ten Kitchens of 2018 on Houzz, and we couldn’t be more thrilled. “This Maryland family loves to bake together, but their existing kitchen didn’t give them enough room to roll out dough. We completely transformed a crowded tiny kitchen into a spacious, beautiful and functional space perfect for baking (and eating) treats! Before renovating, this bright and airy family kitchen was small, cramped and dark. The dining room was being used for spillover storage, and there was hardly room for two cooks in the kitchen. By knocking out the wall separating the two rooms, we created a large kitchen space with plenty of storage, space for cooking and baking, and a gathering table for kids and family friends. 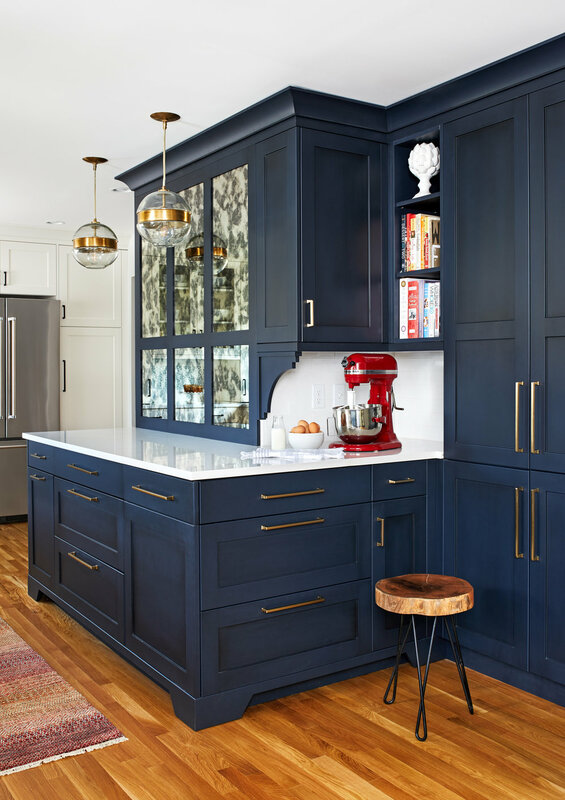 The dark navy blue cabinets set apart the area for baking, with a deep, bright counter for cooling racks, a tiled niche for the mixer, and pantries dedicated to baking supplies. The space next to the beverage center was used to create a beautiful eat-in dining area with an over-sized pendant and provided a stunning focal point visible from the front entry. Touches of brass and iron are sprinkled throughout and tie the entire room together. Thanks for the shout-out Houzz, and please comment below with any questions!